Unfortunately waste dumping by thoughtless people is a problem at most public open spaces. 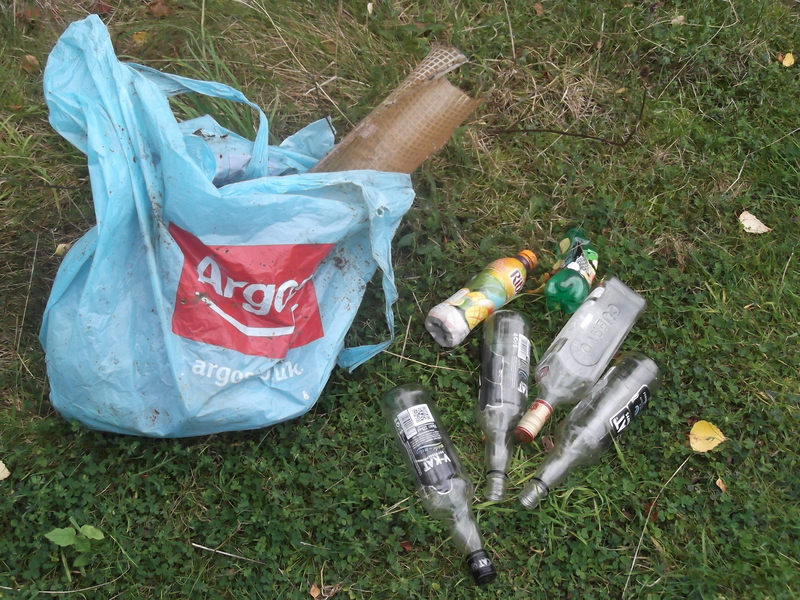 MCT regularly collects litter such as that in the photo below. Most on this occasion was from bottles thrown over the fence from the children’s playground. At least the glass was not smashed this time, but quite why the bottles were not put in the litter bin is beyond us!! 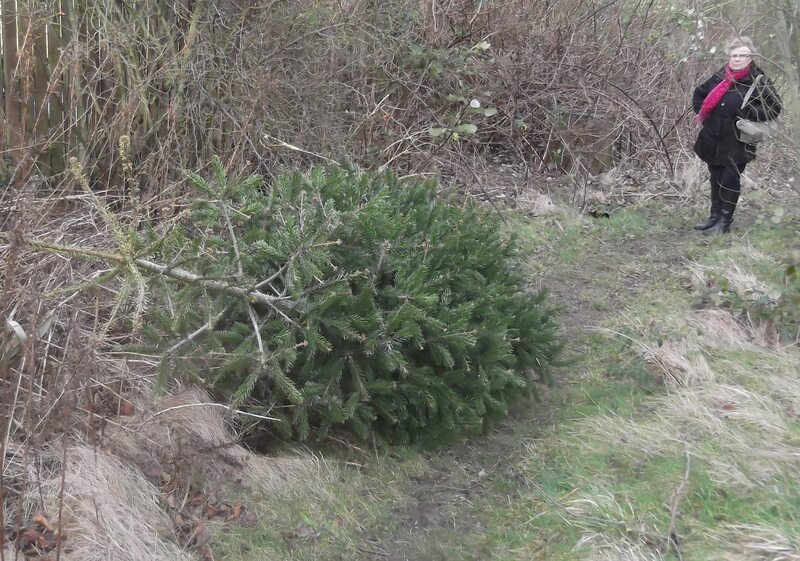 We also have a minor problem with a few local residents who think it’s acceptable to dump their old Xmas tree or garden waste on the site, as shown below. The problems here are blocking of informal paths and that the resulting nutrient enrichment hinders our efforts to improve wild flower biodiversity on the site. 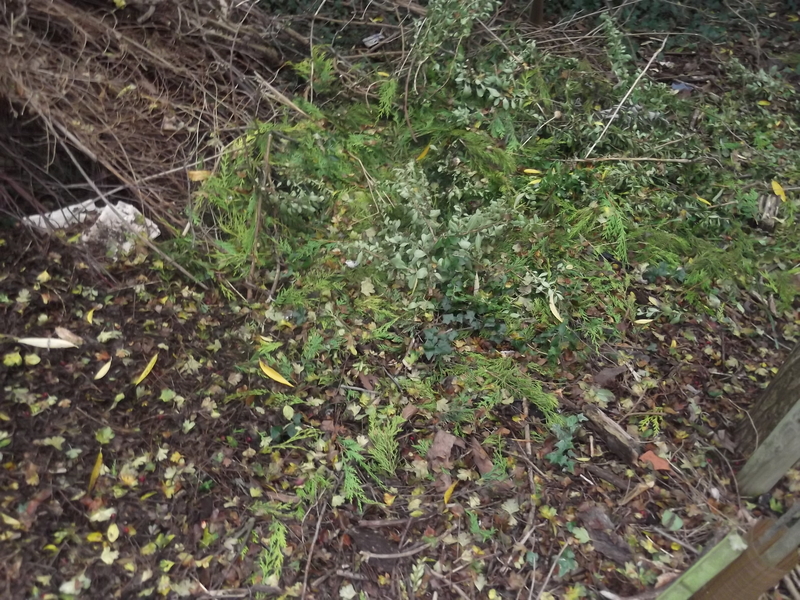 Garden waste also can introduce non-native species. What upsets us most though is the number of selfish dog owners who do not clear up after their beloved pets. The unpleasant photo below (sorry about that!) 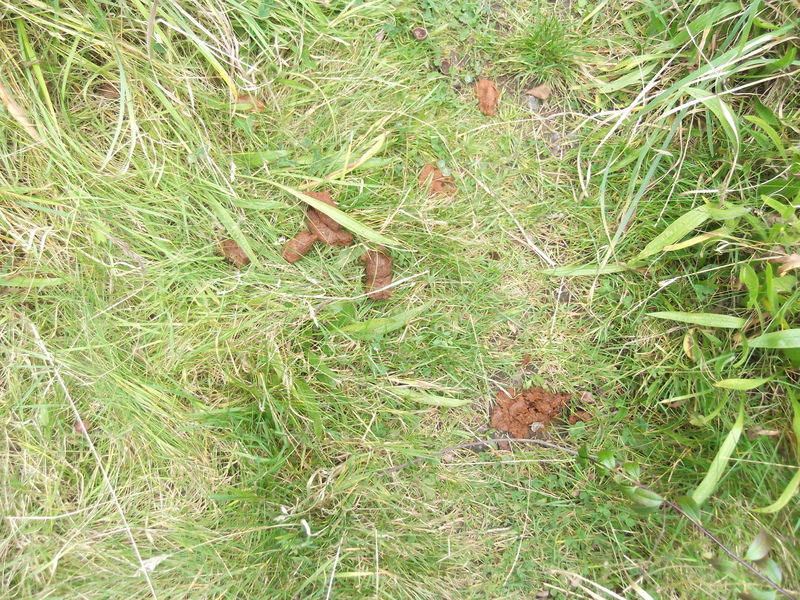 shows just one example from 17 samples picked up and dumped properly in the dog waste bins over one sunny weekend by the field work co-ordinator who has trodden in dog waste, mowed dog waste and even on one occasion knelt on dog waste. It is not just horrible to look at – it is potentially a serious health hazard. It’s a lovely place to walk your pets, but please try to be responsible when you do. We are very grateful to the few volunteers who help clear the mess up from other people’s dogs and even more to the considerate majority who already are responsible, and apologise to them if they found the photo distasteful.